The manager Walid went above and beyond his service when he checked us in. Staff were very friendly and accommodating during our stay from March 29th to April 4th. We were situated at the 29th floor overlooking the Eiffel Tower and the entire city of Paris. That was unforgettable. Amazing experience. Location is good. Able to walk from Metro. And I would recommend if you travel with your friends or your family member. The size of the room was amazing. Definitely will come back to stay there again. Just need to do something with that bugs and smells in the bedroom. Good location, near the metro, a good supermarket, a shopping mall, and lots of restaurants and cafes. The location and the apartment are good. Luckyly, we’ve got the unit with the Eiffel view. Walking distance from Eiffel tower, clean rooms and friendly staff. The family apartment was spacious and accommodating for our family of four. Wonderful large windows to take in the view of the city and Eiffel Tower. Good location within walking distance to Eiffel Tower. Staff were very friendly and accommodating; spoke a fair a fair amount of English to help with language barrier. Staff really stepped up to advocate for us on two issues and helped tremendously. Good view of Eiffel Tower and surrounding city. The location of the hotel is great if you'd like to be close to the Eiffel Tower - and we had a room with an Eiffel Tower view that was fabulous! 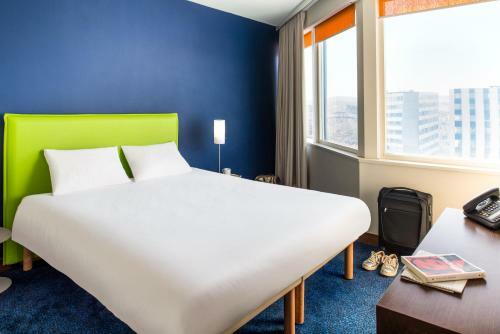 One of our top picks in Paris.Located a 15-minute walk from the Eiffel Tower, Aparthotel Adagio Paris Center Tour Eiffel offers a 24-hour reception, air-conditioned studios and free fiber optic WiFi in all areas. 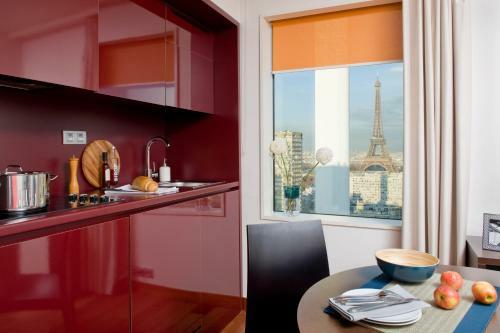 Some apartments comes with panoramic views of Paris and the Eiffel Tower. Guests can enjoy access to the fitness center and indoor swimming pool according to availability during their stay. All studios and apartments at this aparthotel come with a fully equipped kitchen with a stove, microwave, fridge and dishwasher. The apartment features a dining area and a seating area with adjustable furniture and an LCD TV. The aparthotel is serviced by a elevator. You can prepare your own homemade breakfast in your apartment. 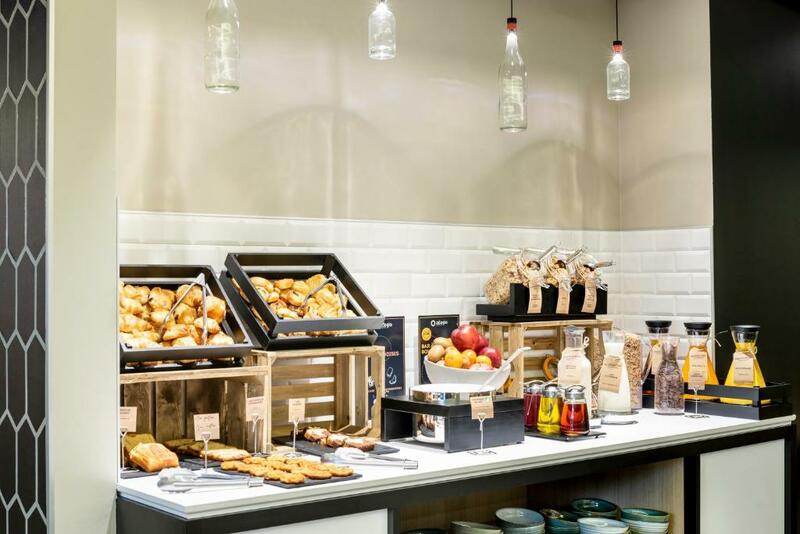 Or if you prefer you can enjoy a buffet breakfast, served each morning in the property's breakfast room for an extra charge. Children from 4 to 11 years old can enjoy it at a reduced rate. Additional facilities available on site include a laundry service and a meeting room available at an extra cost as well as a private car park. Set in the 15th district, the aparthotel is a 15-minute walk from Champs de Mars Park. Dupleix Metro Station is within 2,150 feet from the property, providing direct access to the Arc de Triomphe and Champs-Elysées shopping area. 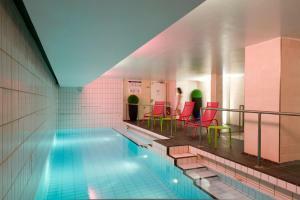 When would you like to stay at Aparthotel Adagio Paris Centre Tour Eiffel? This studio offers a seating area with a wall bed, flat-screen TV and air conditioning. It includes a wardrobe and an equipped kitchen with a microwave and fridge. This 1-bedroom apartment features a lounge with a sofa bed and flat-screen TV. Self-catering facilities are provided. This apartment provides access for guests with reduced mobility. Set on 2 levels, this air-conditioned apartment offers a living/dining area with a flat-screen TV and an equipped kitchen with a microwave and fridge. This larger studio offers a seating area with a wall bed, flat-screen TV and air conditioning. It includes a wardrobe and an equipped kitchen with a microwave and fridge. This contemporary apartment offers a living/dining area with a flat-screen TV and an equipped kitchen with a microwave and fridge. This 1-bedroom apartment offers views of the Eiffel Tower. Guests will be able to prepare their own meals in the fully equipped kitchen, which features a dishwasher. This 1-bedroom apartment offers a panoramic view of Paris. Guests are able to prepare their own meals in the kitchen, which offers a dishwasher. This studio has a sofa, soundproofing and stovetop. House Rules Aparthotel Adagio Paris Centre Tour Eiffel takes special requests – add in the next step! Aparthotel Adagio Paris Centre Tour Eiffel accepts these cards and reserves the right to temporarily hold an amount prior to arrival. Apartment rates include accommodations, ready beds, bathroom linen, cleaning (except kitchen area and washing up) and TV with international channels. For stays of 8 nights or more, weekly cleaning is included in the price. The toilet kept blocking up. We asked for an extra bed and was told we could NOT have one despite it being confirmed. The Air con/ heating was way too hot , stifling and totally uncomfortable. The room was dirty and in total need of redecorating. The location was brilliant and the view made up a little for the major downfalls of the room. The breaky was good even if we had to pay for it again as we had included it in our booking. Couldn't be bothered to argue. Staff nice. Housekeeping service is only once a week. My room was only cleaned once in 9 days. I enjoyed that it was in walking distance to many attractions, inluding the Eiffel Tower. No heater, just air conditioner that we couldn’t turn off. Expensive breakfast. The views looking to the tour Eiffel from the room it was what we expected, the kitchen has everything it needs. Good location. You can connect the phone to the tv and mirror play. They have a good system for locker rooms for the suitcases and it’s free. It has a good iron and hairdryer. Plenty storage as well.It was very good in general. We definitely would stay again. Furniture was old and dirty. The tile in the bathroom was loose. The shower fixture was loose from the wall. The carpeting was dirty inside the apartment and in the hallway. The light fixture were loose at the bottom. The air conditioning worked very poorly and not heat when we were chilly. The breakfast was basic and sometime the eggs were cold. The elevator took a long time to come and some members of the front office were not very pleasant to the guests. The apartment is out dated and need a complete renovation. Construction was right outside the hotel and they never mentioned it. The bed was hard as a rock, they never cleaned, dusted the shelves at the top or gave us clean pillow cases. There was an unpleasant smell in the room upon arrival but it wasn't too bad. Just have some air spray and you'll be good to go.